When it comes to planted forests, Brazil is a key world player, with exceptional soil and climate conditions, advanced genetic technology and a constantly evolving market. According to a 2016 report by Ibá (the Brazilian Tree Industry), there are over 7,8 million hectares of planted pine and eucalyptus forests in the country, the most productive in the world, which in turn fuel many segments of the industry, such as the markets for pulp and paper, plywood, ironworking and mechanically processed timber products. 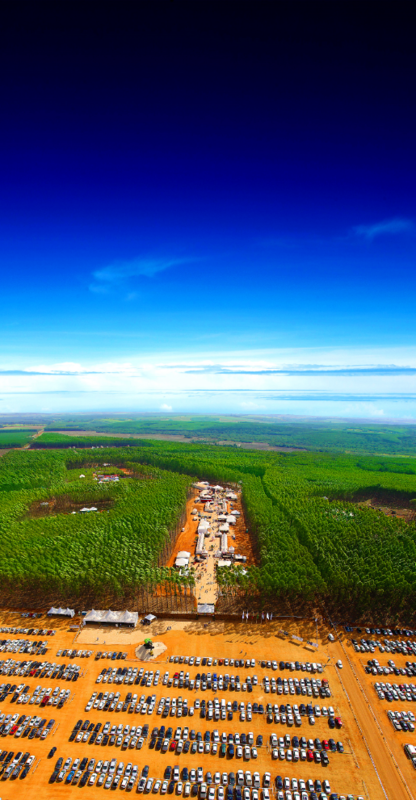 In the last decade, the Brazilian logging sector has attracted international investments, opening up a plethora of new possibilities and massively increasing its scale, resulting in improved techniques, new technologies and investment in research. It was in this scenario that the first edition of Expoforest – Brazilian Forestry Fair was held in 2008, still a strictly static event. 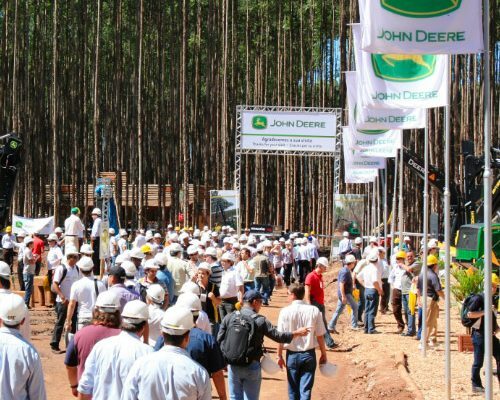 In 2011, it reached new heights by becoming the only dynamic forestry fair in Latin America to present technologies suited for wood production in planted forests. In 2014, Expoforest became the biggest forestry fair in the Americas that year, continuously exceeding the market’s expectations. The fair’s innovative aspects ensure every visitor gets the experience of seeing machinery and equipment in action, providing the true extreme sensations one cannot help but experience within Brazil’s planted forests. In 2018, Expoforest will be held at Santa Rita do Passa Quatro, São Paulo state, Ribeirão Preto area. For over 38 years of uninterrupted events discussing wood harvesting and trasportation systems, machinery and equipment manufacturers and sales companies expressed their dream of having, in Brazilian territory, a forestry trade fair focused on showcasing in dynamic displays new technologies for timber production in planted forests. 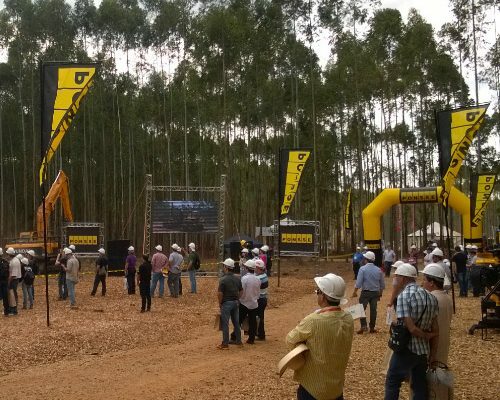 This dream became a reality in 2011, when the managing board of Expoforest (Caterpillar, John Deere, Komatsu Forest and Ponsse) motivated the creation of the fair, held by Malinovski as the first and only dynamic forestry fair in Latin America.